This press design is similar to a manual book press. 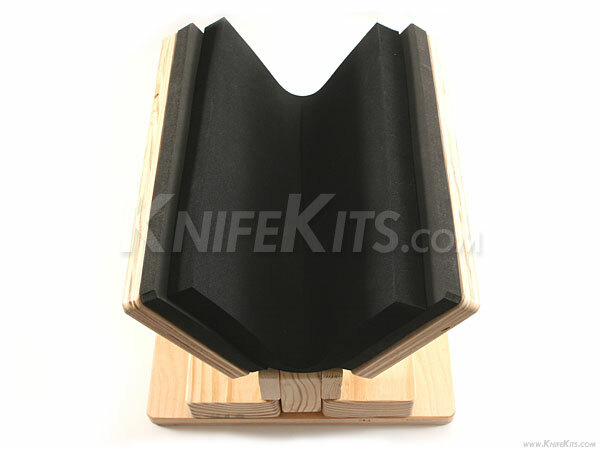 It was engineered for the purpose of making 1-piece, taco-style holsters and sheaths. 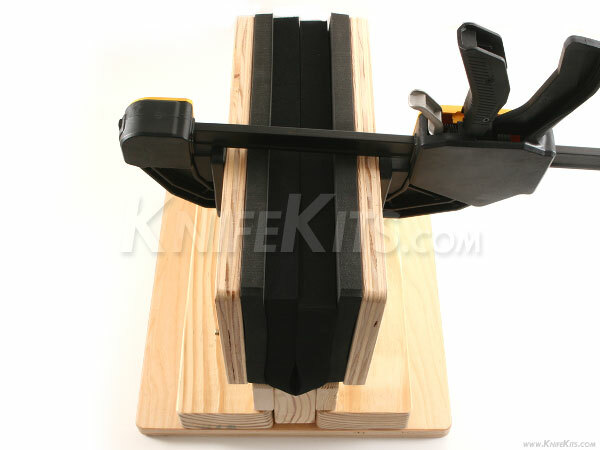 Forming pressure is applied through the use of a hinged wing fixed in place by a standard 12" trigger clamp or other clamping device(optional). This model is simple in design, yet well-constructed. 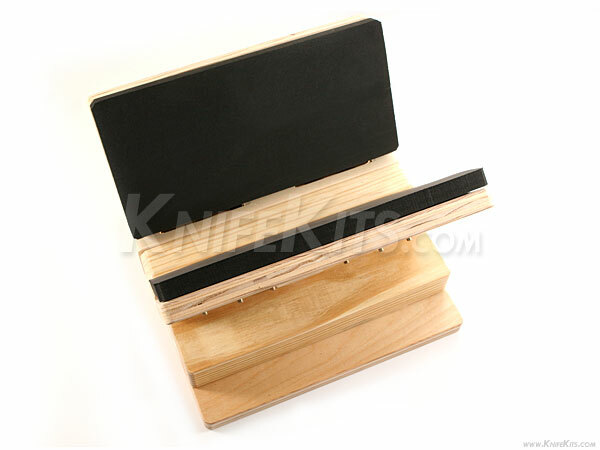 It is made from high-quality materials, such as 3/4" plywood and grade 5 hardware fasteners. The base of the unit is glued and screwed for maximum durability. Each screw on the base is recessed to minimize bench top scratching. The Coffeebum Taco Press has a small footprint, taking only one square foot of bench top space. 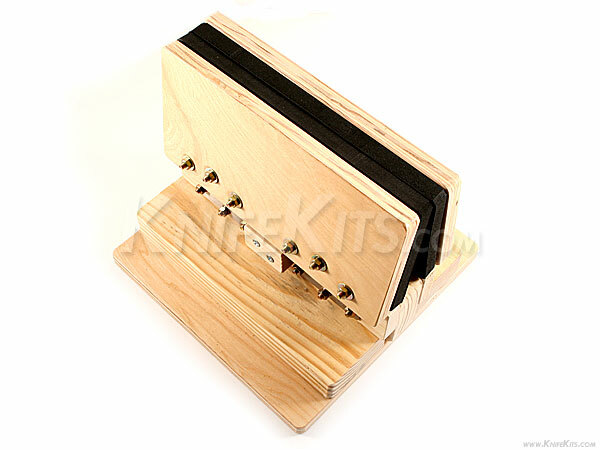 The hinged wings are 6" x 12" each and fit a standard 12" trigger clamp when fully open. 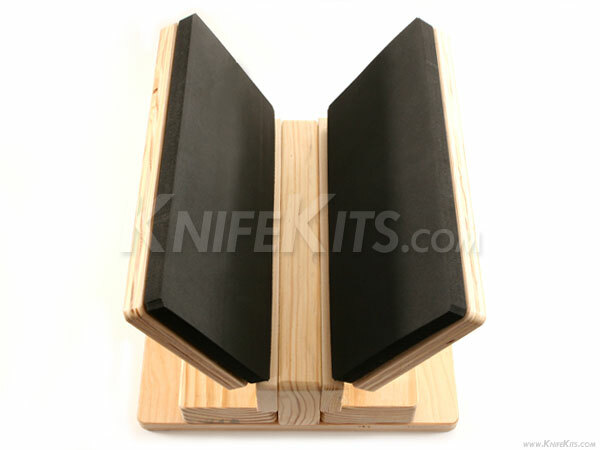 The base model press comes with 3/4" standard grade neoprene foam attached to each wing with hook & loop fasteners. Foam reversal and replacement is an easy task to perform with this design feature. 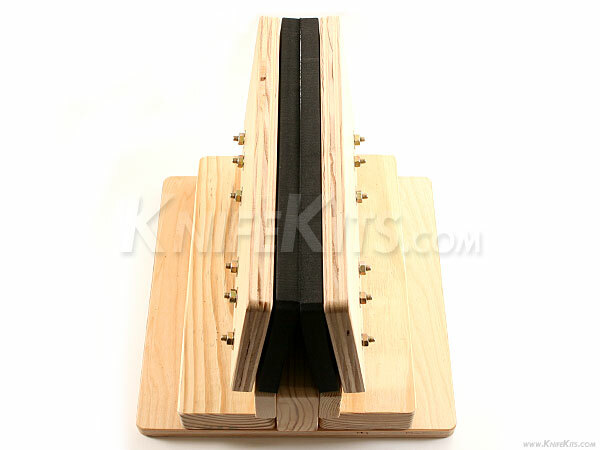 This model also comes with (1) 12 x 12 piece of Xtreme Form center foam. Note: Sample images below may include optional trigger clamp. Please note the product description above for actual items included in this model.